The basic unit of the Episcopal Church is the diocese, a geographic area. It is headed by a bishop. 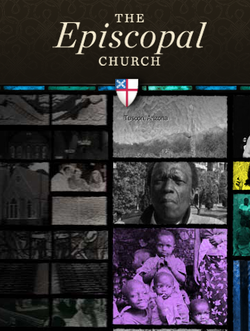 (The word "Episcopal" comes from the Greek "episcopos" meaning overseer). The Diocese of Connecticut includes the entire state. There are currently 170+ parishes and local eucharistic communities. Our diocesan bishop is the Rt. Rev. Ian T. Douglas, 15th bishop of Connecticut. We strive to love our neighbors as ourselves and respect the dignity of every person. The Episcopal Church is part of the worldwide Anglican Communion, and traces its heritage to the beginnings of Christianity. The Anglican Communion Office, based in London, England, at St Andrew's House, is the permanent secretariat for the Instruments of Communion. It serves the Anglican Consultative Council, the Primates' Meetings and the Lambeth Conference, as well as commissions, committees and other groups. Staff at St. Andrew's House come from a diversity of countries including Pakistan, Japan, Canada, Ireland, England, Zambia and Colombia.